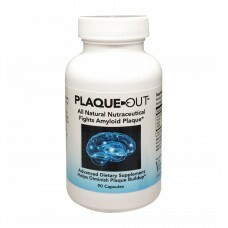 PLAQUE-OUT® is a natural dietary supplement that helps fight amyloid plaque, a substance that triggers inflammation in the brain and can cause cognitive decline. .
PLAQUE-OUT can help delay or possibly prevent the progress of Alzheimer’s Disease and other forms of memory loss and dementia. It works like a kind of mental floss to help minimize, prevent or even clear-out the abnormal clusters of sticky-like proteins that can build up between nerve cells in the brain. It helps your brain to function more effectively. PLAQUE-OUT crosses the blood/brain barrier, and works best when taken with alcoholic beverages. Its effect is also enhanced when taken together with X-PUNGE™, as part of a healthy dietary regimen, which should ideally include omega 3 fatty acids. 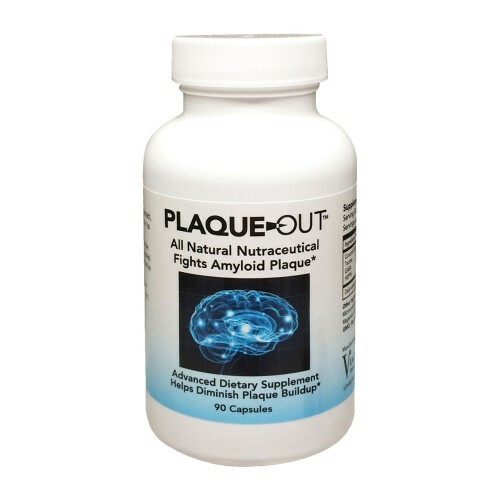 PLAQUE-OUT can be safely taken with other nootropic nutraceuticals and cognitive enhancers, including vinpocetine, bacopa monnieri, huperzine, ginko biloba, lions mane mushroom, citicoline, etc. * PLAQUE-OUT has been reported to be most effective for those with demential when they are also taking lithium and beta glucans once or twice a day. This is not recommended for those users who do not have dementia. All ingredients in PLAQUE-OUT are GMO, soy and gluten free.